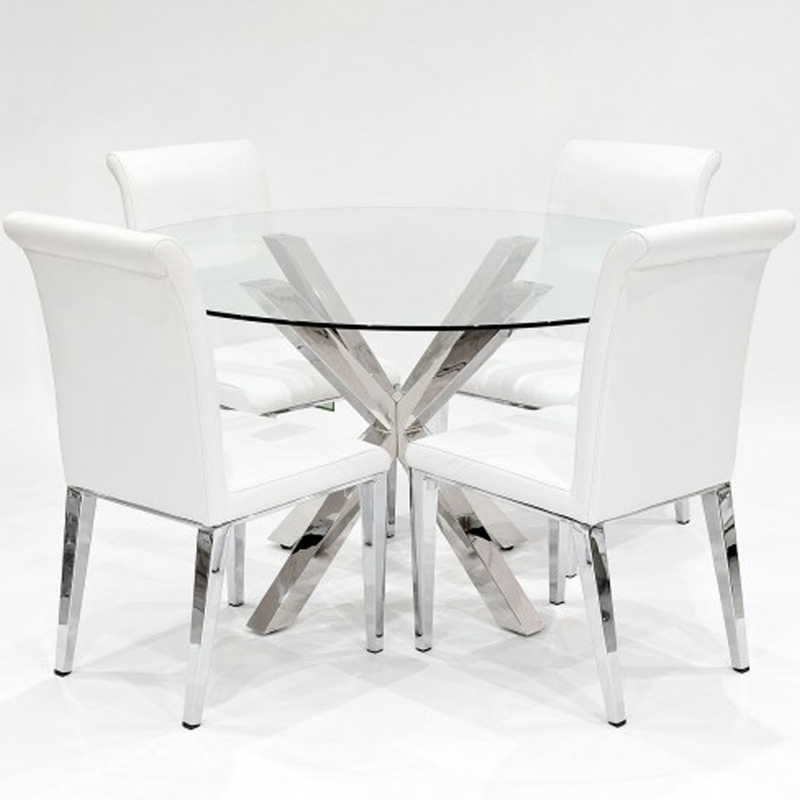 Add a modern and stylish touch to your home interior with an addition from our collection of modern dining sets, this beautiful White Kirkland Crossly Glass Dining Set is a perfect addition to add to your dining room to illuminate a modern feel throughout the room and your home. Included in this set is four beautiful white Kirkland dining chairs with a shiny chrome base. Finished with a round glass crossly dining table which also features a lovely chrome base.